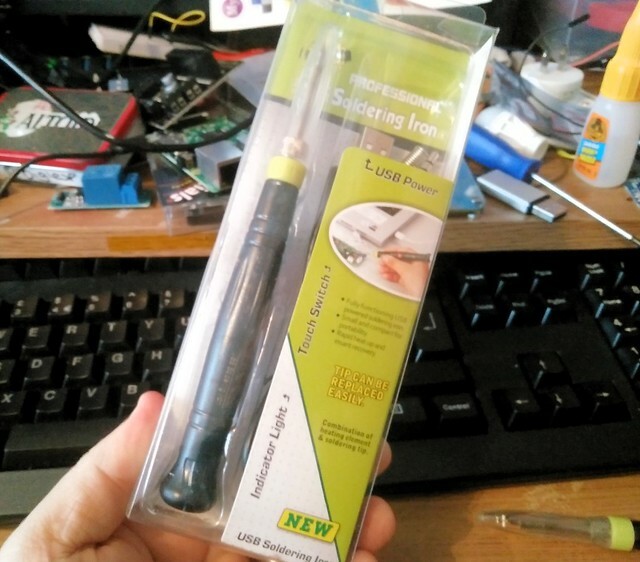 This is the long awaited review of something that I take for granted...soldering irons. But this one is a little different, it runs from USB power! 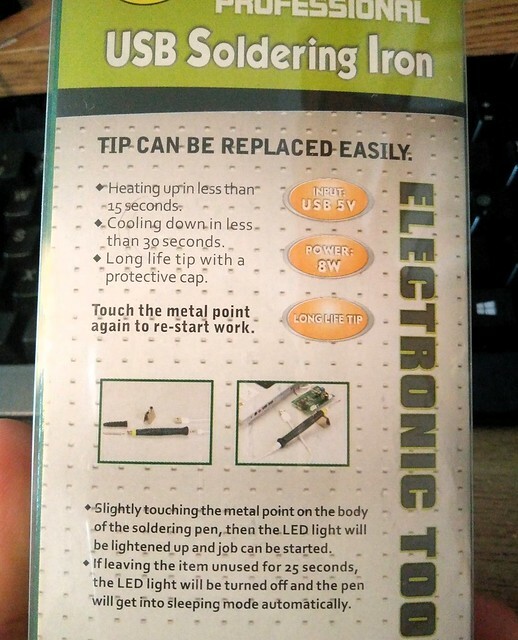 You read that right, this soldering iron is powered via USB, so your laptop, car charger, USB battery etc can power this iron! This iron is ideal for small soldering projects. It is rated in reality at 6W, so no soldering speaker cables or heavy joints, but surface mount and simple projects are the bread and butter of an iron like this. Good for use in a classroom environment due to heat up and cool down times. Small enough to feel like a pencil, rather than a big hulking iron. Works well with GPIO headers on a Pi Zero, and soldering simple electronics projects. Powered by a 555 timer! I kid ye not! As Clive mentions, if used with a USB plug, there is a **small** risk of passing AC voltage to sensitive components. 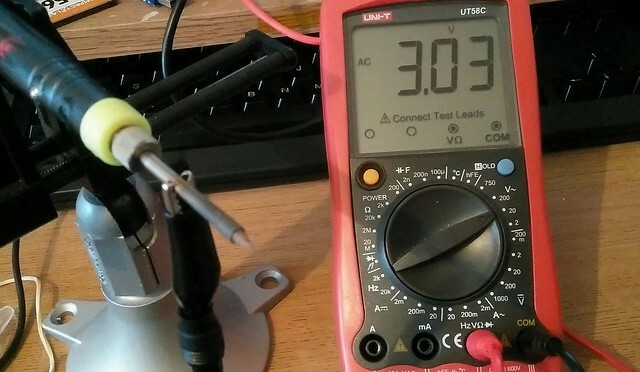 I did a quick test on my iron and found that via my Anker 40W 5 port USB power supply it did indeed pass 3.03V AC. But I have used this iron for two years and have had no issues with damaged components. I've used this iron for around 2 years and in that time I have soldered lots of Pi Zero GPIO headers, kits from eBay, ATtiny85 boards, Arduino kits etc and this iron has not let me down. It is cheap and cheerful, no temperature control but it fits neatly in my rucksack for work trips away (but obviously not on a plane...) and I can power it from many different sources. They are on eBay for £5.89 delivered from a UK seller. I've just bought five for Playlab in Leeds this week. 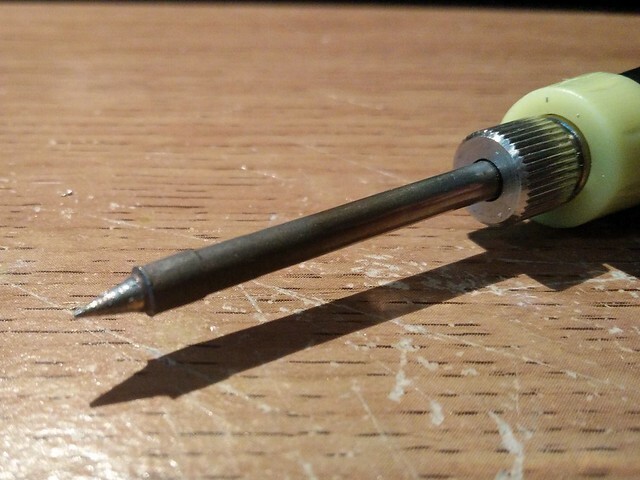 If you are new to soldering, then this is a great, cheap, simple iron to get you started. Just buy a few cheap electronics kits from eBay and have fun!